Parents-to Be: Have you wondered if birthing with a midwife is right for you? If you would like to explore midwifery supported prenatal care and delivery, Desert Blossom Women’s Care (DB) may be an excellent choice. I had the opportunity to meet midwives Tricia Nast and Rebecca Rivera at a recent networking event for professionals serving growing families. I was so excited to hear about their practice. 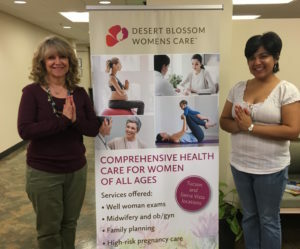 At Desert Blossom, the midwives collaborate directly with a perinatologist allowing them to care for all women. Visiting with Midwife Becky Rivera, CNM, MSN at Desert Blossom. Their practice is unique due to their relationship with collaborating physicians. This collaboration allows for continuity of care should mom-to-be have risk factors. DB is also the only OB group in Tucson able to offer nitrous oxide as a coping tool for labor, exclusively at St Joseph’s Hospital. The patients at DB are able to get to know each midwife individually which helps to form deep connections and trust. Essentially, DB is a highly collaborative practice with high risk maternal-fetal medicine physicians that offers midwifery care for women who may otherwise “risk out” in another practice. One thing I did not know is that midwives also provide women’s gynecological services through menopause! Tricia (TN) and Becky (BR) are both CNM and MSNs. They made time out of their busy schedules to share their knowledge and information with readers of this blog as well as their thoughts about Prenatal Yoga. TN: A midwife is a woman’s healthcare provider with a focus on pregnancy and childbirth. Midwives are experts in normal pregnancy care, and can also provide care in collaboration with a doctor for higher risk patients. We view pregnancy and childbirth as normal life processes, and intervene only when there is a valid medical need. Nurse-midwives also provide gynecologic care for women of all ages, including teens and women past menopause. BR: A midwife is a highly trained nurse able to care for women from puberty to menopause. We are medically trained to recognize when things are steering from healthy; but are skilled nurses who recognize healing has emotional, physical, and mental components. We are at your side through normal and “abnormal” times in your health journey. What is your training and from where? 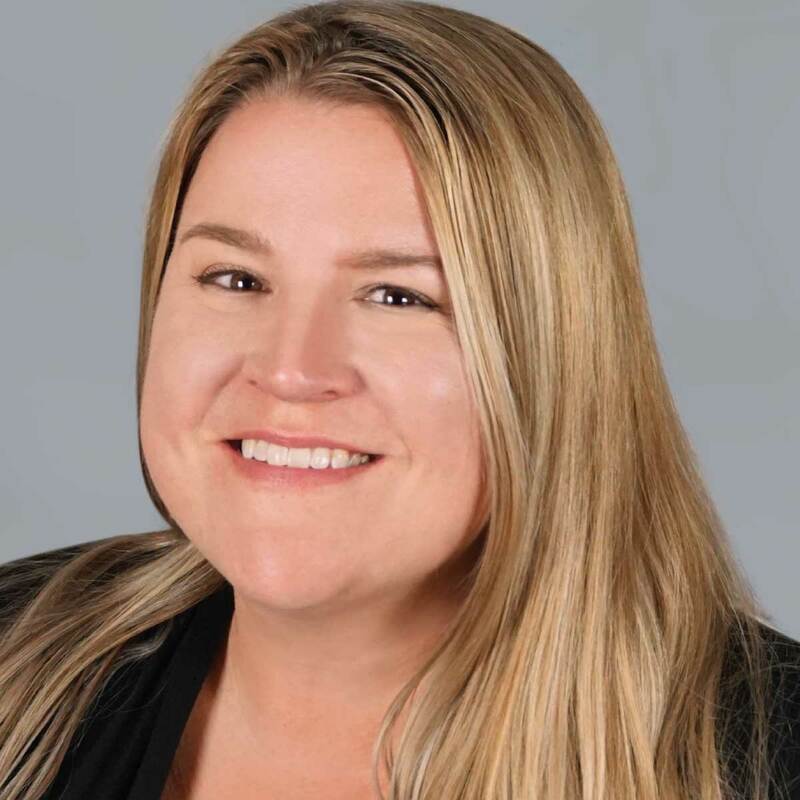 TN: I earned my Bachelor of Science in Nursing from the University of Arizona in 2009. In 2015 I earned my Master of Science in Nursing from Frontier Nursing University in Hyden, Kentucky. I am currently a Doctor of Nursing Practice student at Frontier Nursing University and will complete my program in December 2018. BR: My BSN is from the University of Arizona and my MSN is from the University of Cincinnati. The bulk of my training is from nurses and patients in labor and delivery when practicing as a bedside nurse for 11 years. What do you love about midwifery? Becky showed me the exam room where there is also a play area for younger children. TN: I believe that a woman’s birth experience will impact her for the rest of her life, whether positive or negative. I am truly honored that I can be a part of that experience, and I love doing everything in my power to make sure the experience is positive, even if it does not turn out how she envisioned in her mind. I love being in a partnership with my patients and helping to guide them as they navigate their pregnancy. I also absolutely LOVE working with adolescents for gynecologic care. There is so much fear and mistrust among young women about what a “visit to the gyno” actually means. I love to help quell those fears and help a young woman see that taking care of her health can be enjoyable and empowering. How do you as midwives see prenatal yoga helping women to have a more comfortable pregnancy and prepare for birth? Midwives agree that prenatal yoga perfectly supports women in pregnancy and birth preparation. BR: Prenatal yoga will help women build stamina, flexibility, and patience, all pivotal for labor. Prenatal yoga also helps women gain confidence and comfort with and in their bodies. Physically, yoga will aid with common discomforts in pregnancy facilitating movement of not only self but of baby as well. TN: There are so many benefits of prenatal yoga – both physical and emotional. It helps women connect with their babies before birth through mindfulness, which I believe strengthens the bond at birth. The gentle stretches and postures both prepare a woman for the physical task of labor as well as keeping women comfortable with the body changes of pregnancy. What are four reasons pregnant women may want to work with midwives? -Care is personalized. We strive to work with you to help make your pregnancy and birth experience unique. You are not a number or a chart. Each pregnant woman is unique and each pregnancy is extraordinary, and we seek to preserve that in your care. -Care is family-centered. We love having siblings and other family members present at prenatal appointments and births! -Care is safe. As hospital based midwives, our patients can benefit from low-intervention birth care while having the emergency services only available in the hospital. It truly is the best of both worlds. -Care is respectful. We respect our patient’s right to make their own choices regarding their healthcare. Our job is to provide recommendations, guidance, and answer your questions in a nonjudgmental, comprehensive manner. Parents-to Be: Both midwives encourage you to come for a complimentary, no obligation office tour and appointment. You will have the chance to ask questions and learn if DB practice is a great fit for you. Thank you to Kelly Maddock for facilitating these interviews and visit.